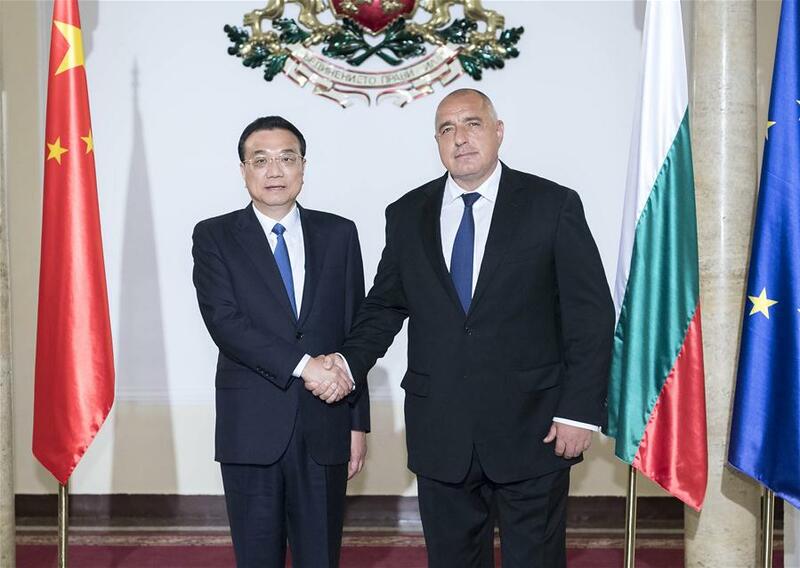 SOFIA, July 6 (Xinhua) -- Visiting Chinese Premier Li Keqiang on Friday called on his country and Bulgaria to seek greater synergy in development and elevate bilateral ties to a new level. In his talks with Bulgarian Prime Minister Boyko Borissov, Li said the two countries' complementary advantages and mutual needs in economic development provide broad prospects for bilateral practical cooperation. The Chinese premier also called for expanding bilateral trade and investment and promoting trade and investment liberalization and facilitation. "The Chinese government encourages competitive Chinese companies to invest and start business in Bulgaria," Li said, urging Bulgaria to provide them with preferential policies and a good business environment. On deepening agricultural cooperation, Li said China is willing to import more Bulgarian specialty agricultural products that meet Chinese market needs. Li also called for concerted efforts to make a success of the demonstration park on agricultural cooperation between China and Central and Eastern European countries. Borissov said that based on Bulgaria's location advantage and development needs, Bulgaria is willing to draw support from China's advanced technology and experience in infrastructure construction and cement bilateral cooperation in building roads, ports and airports. A joint communique between the two governments were also released on Friday, in which Bulgaria expressed support for the Belt and Road Initiative and closer China-Europe connectivity.